4.1 General Discuss anything RAV4.1 related that doesn't fit in the categories below. 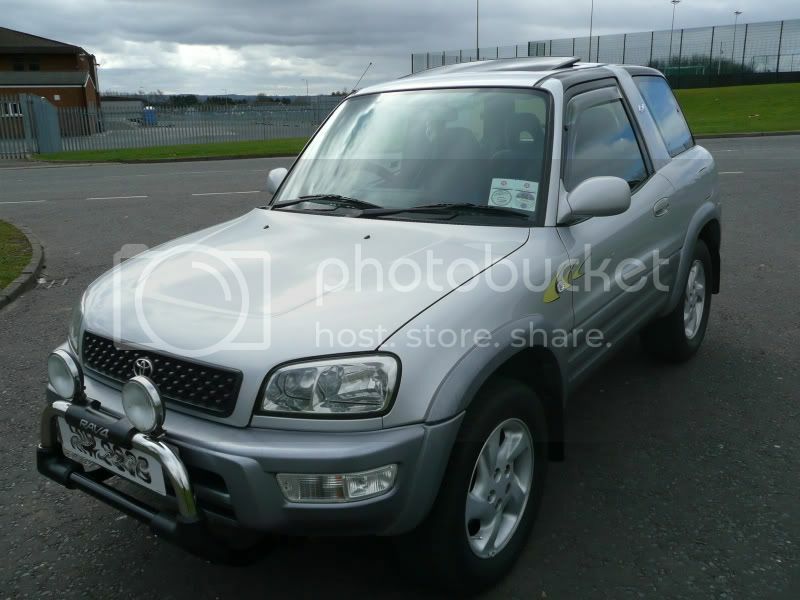 Toyota RAV4 Forums > RAV4.1 First Generation (1994-2000 Models) > 4.1 General > How Do You Clean Your Rav4? How Do You Clean Your Rav4? knowledgeable, their respectively routines in cleaning their rides - exterior, interior and engine. I would love to see my Rav4 clean and shiny at all times. What are the equipments and products that you use? How often do you clean your Rav4? What are the basic things that I should know? What are the things that I should not do? Currently it's winter at my place, so cleaning isn't going to be done frequently. But i did change the sparkplugs and spark plug wiring yesterday, cleaned the distributor cap both outside and inside, by hand and with a soft cloth. Also cleaned the area around the sparkplugs wiring with a cloth as well. Simply vacuum cleaned the inside of my car, cleaned the inside of my front window with special window cleaning tissues because it was fairly dirty. Didn't clean the outside due to the low temperatures. But if i do, i use normal car wash soap or drive it into a car wash (although not all car washes in my area accept SUV's and 4x4's to be drivin into the car wash). Normally i clean my car about every two to four weeks both inside and outside. Good vacuum cleaning inside, outside cleaning with normal car wash soap and lots of clean water. I have seen people on this site clean the inside of various engine component though, that is on my to do list when temperatures go up a bit. Thanks mate. I need to save money to buy a good vacuum. I always wash the exterior by hand (once a week)...wet the car with a hose........fill a bucket with warm water and a drop of quality shampoo.....wash with a sponge.....rinse with a hose pipe.....wipe the car over with a chamois leather or one of those synthetic clothes that soaks up water. Be careful with wheel cleaners especially the acid based ones which can destroy paintwork and alloy wheel centre caps with emblems. If you can get Autoglym products their machine and engine cleaner is very good and harmless to paint work......its good for degreasing and cleaning the engine and also does a good job on alloy wheels. Once you have washed and dried the exterior you can polish (say every 3 months) it with a good quality polish.....i tend to stick with Autoglym or Meguires products......most are a simple wipe on wipe off process although not in direct sunlight or very hot temps as this makes the polish hard to remove......i apply the polish with a microfibre cloth or a small sponge pad.....wipe off with a clean microfibre cloth .....buy yourself half a dozen,you can wash and re use them.......DO NOT use cutting polishes on metallic paint,you will remove the top clear coat......get some advice on here before you use anything other than standard polishes. For the interior get a good quality plastic and vinyl cleaner....again its a simple spray on wipe off process......for upholstery and carpets i would leave these to a pro to do,these are things that would not need regular washing.....if you have a dirty job get yourself some slip on seat protectors. 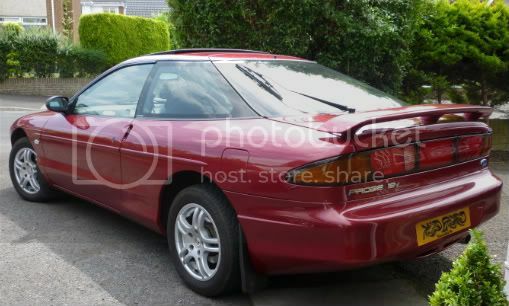 Regular washing and polishing helps......this is my 15 year old Ford Probe with its 100% original paintwork. 2003 Ford Mondeo 2.5 V6 "Zetec S"
Compared to our other cars, washing the RAV is the easiest thing in the world. In sunny Saturday afternoons my father and I start the big washing. 2 vans long base high roof - Citroen Jumper and a Peugeot Boxer, my mom's Xsara Picasso, Alfa Romeo 156, our friend's VW Passat Variant (well he washes it himself ), the RAV and somethimes some other random friends' cars. Washing the 4.1 is for no longer than 7-8 minutes - washing one van for example takes at least 20. What we use is fresh water under pressure, some soap if necessary, a long mop and a special mop for drying after the washing. In the summer I use a special detergent for the insects on the front bumper. Before I discover it it was really hard to remove those insects from the headlights, the grids and the bumpers. Proud owner of a 1999 4.1 and a 2011 V6 with 3rd row! I perfer baby shampoo to wash the my RAV and it does a good job removing love bugs. Only 1 option. The lorry wheel wash at the local quarry when i'm passing!!!! I'm a tad bit lazy and rarely wash my car myself. When I do, I find I never get it to be quite clean enough; drives me crazy. So, in the winter when the roads are all covered in salt, I take it to the drive-thru wash once per week, making sure to go some place that washes the underbody of the RAV. This is typically how I wash it during the summer as well but more along the lines of once per month. Additionally, I bring it to the full-service hand wash place at the end of winter and the end of summer to make sure the job is done well at least twice a year. I do a deep clean on the interior quite frequently as I am a teenager and it tends to accumulate crap. For this, I vacuum the carpet and seats and use a damp cloth on the dash and other hard surfaces (and occasionally dish soap on the really stuck-on goo).